While flagging an answer that already had a few down-votes to it, I noticed that the text that appears dims as much as the answer has. I guess the question is Glitch/Quirk or Feature? Not the most pressing thing, I know, but still some clarity wouldn't hurt. 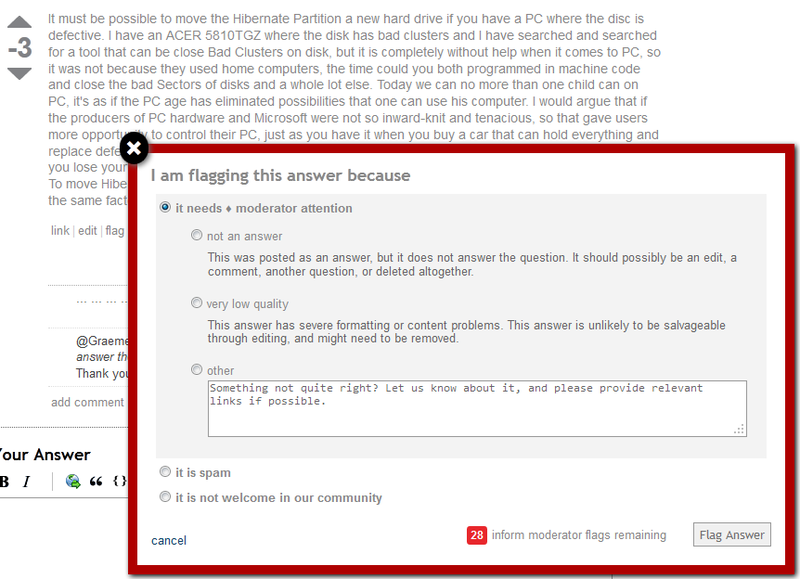 Aye, the CSS has cascaded a bit too far, it's inheriting from the downvoted answer style. I'd err on the side of bug for this one. I've been using the Stack Exchange sites for over a year now and this confused the heck out of me the other day. I can only imagine a relatively new user will be just as confused, if not more so. The problem is that it looks like the options are disabled, not just a grey colour. I was flagging an answer the other day and noticed this and seriously thought all the radio buttons were disabled (I thought maybe because the post had already been deleted) and cancelled out of the dialog. Only after I refreshed the page and saw the answer had not been deleted did I try to flag it again, ignoring the fact the options all looked disabled. This is an unintuitive user interface and I wonder how many others have simply dismissed the dialog when it appeared as though the options were disabled, even though they aren't. The concern is someone may be trying to help by flagging a spam post (which may have already accumulated enough downvotes to make the answer go grey) and see the flag dialog is greyed out so close it because all of the options look disabled and like you can't click on them. Not the answer you're looking for? 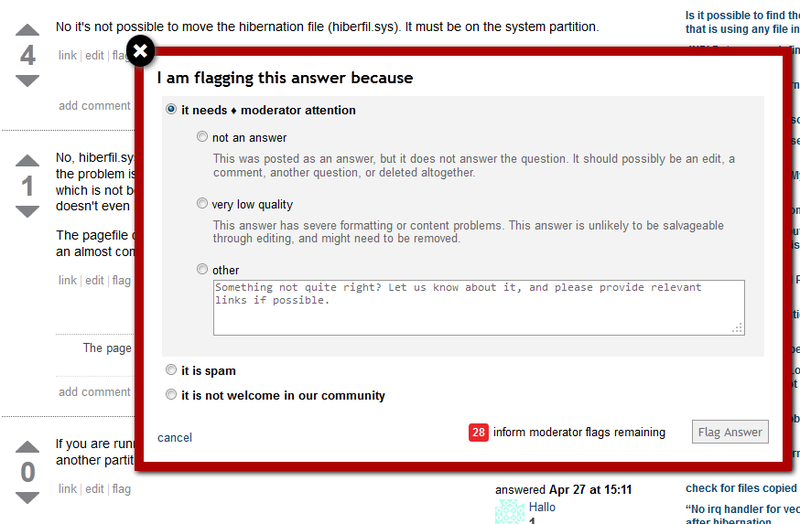 Browse other questions tagged bug status-completed flagging design user-interface .